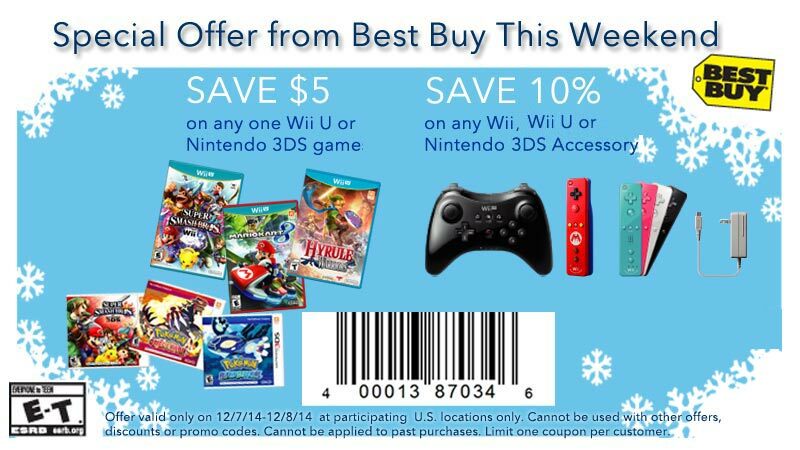 Another round of Nintendo deals are coming to Best Buy this Sunday. First, there’s a buy 1, get 1 40% off sale for Wii U and 3DS titles. The deal appears to be in-store only, as the online offer provides consumers with a $20 gift card with the purchase of two select games (see the fine print). Best Buy will also be selling all eShop cards for 10% off. While it’s not the best deal, you’ll be able to save $25 on the Super Mario 3D World Wii U bundle as well. 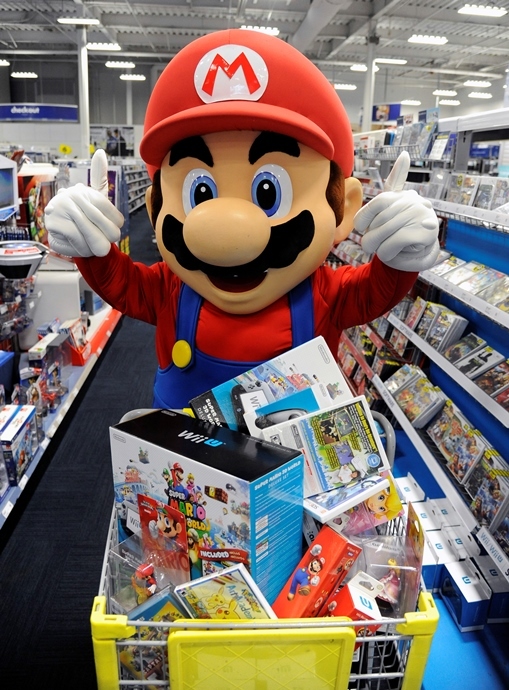 Best Buy will be running a few Nintendo offers in its stores on Sunday and Monday. 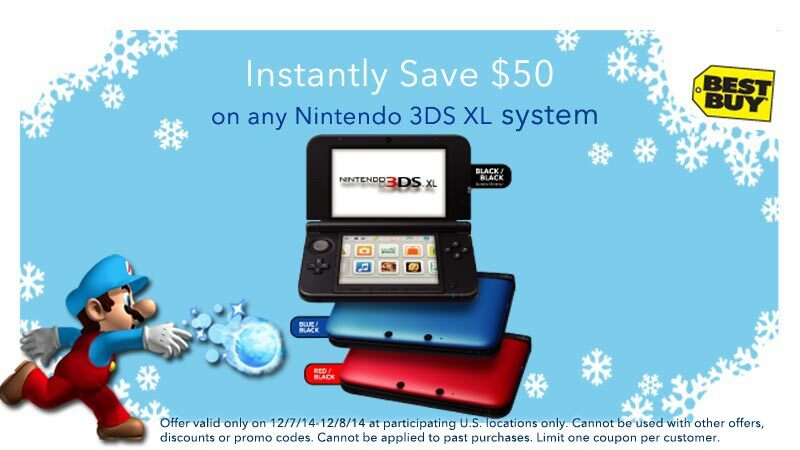 By using the coupons below, you can save $5 on any Wii U/3DS game as well as $50 on the 3DS XL. Additionally, you can nab a Wii U/Wii/3DS accessory for 10 percent off. Best Buy has now opened pre-orders for the amiibo set to arrive in February. You can place reservations for the Meta Knight-exclusive figure as well as Toon Link, Mega Man, and more. Continue on below for pre-orders links from Best Buy. On Dec. 7, Nintendo and Best Buy have a holiday gift at participating locations across the country: hands-on game play featuring Captain Toad, Pikachu and many of the most iconic characters in video games. At select stores, shoppers can play four of Nintendo’s hottest games of the holiday season: Captain Toad: Treasure Tracker for Wii U, Pokémon Art Academy for Nintendo 3DS and Super Smash Bros. for Wii U and Nintendo 3DS, all of which are now available in stores and in the Nintendo eShop. Captain Toad: Treasure Tracker features Captain Toad in his first starring adventure, as he searches for treasure through multiple creative and colorful levels. In Pokémon Art Academy, fans of all ages can learn how to draw their favorite Pokémon characters in 2D using the touch screen of the Nintendo 3DS system. In Super Smash Bros. for Wii U and Nintendo 3DS, all-star characters like Mario and PAC-MAN battle it out in epic arenas inspired by some of the most memorable video games of all time. 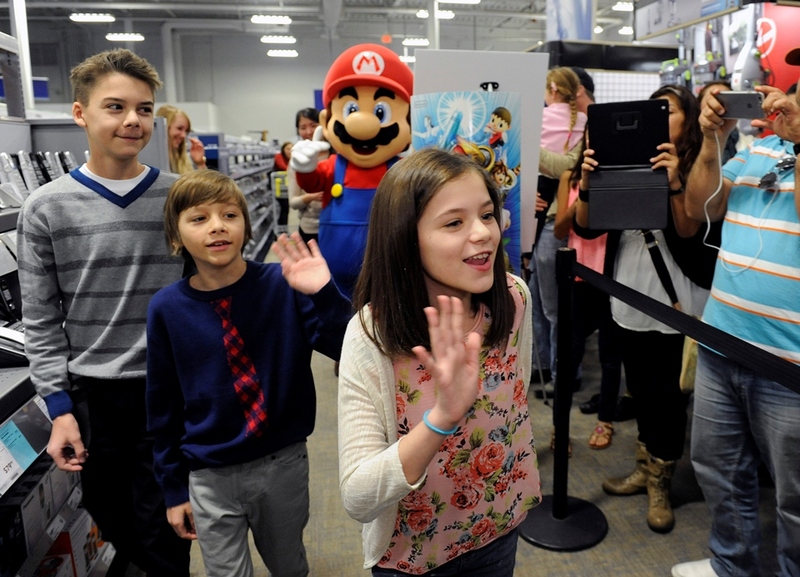 Best Buy will be holding a “Nintendo Family Game Demo Day” at over 100 stores this weekend. Consumers will be able to go hands on with Super Smash Bros. for Wii U/3DS, Captain Toad: Treasure Tracker, and Pokemon Art Academy. There will also be giveaways and deals. 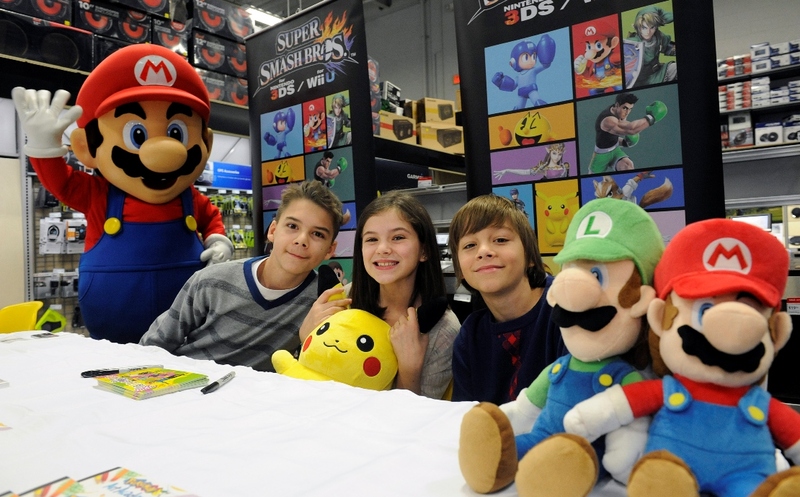 If you show up at the Culver City store in Los Angeles, there will be a photo-op with Mario. 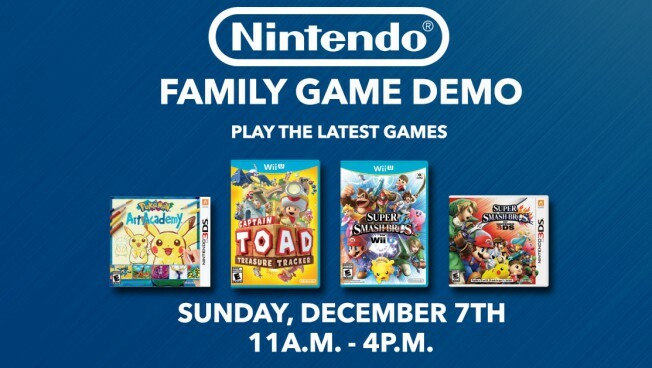 Best Buy’s “Nintendo Family Game Demo Day” will take place between 11 AM and 4 PM. Check out this link for a lineup of participating locations. Best Buy is running a pretty great deal on Wii U games at the moment as part of a new Cyber Monday sale. If you buy one title with the retailer, you can get a second for 40 percent off. 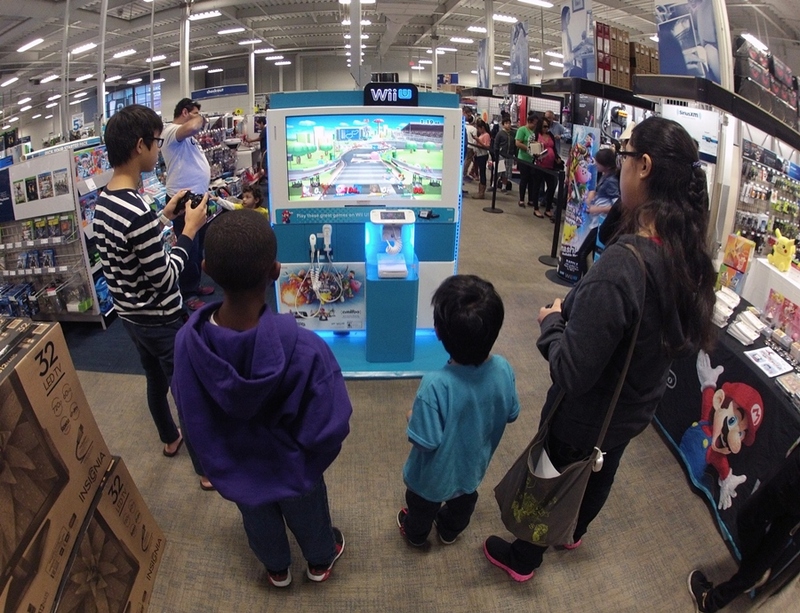 The selection includes Super Smash Bros., Bayonetta 2, Hyrule Warriors, and more. You can find the deal here. All games are currently available for shipping and in-store pickup, though this may change throughout the day. It was recently revealed that the Shulk amiibo figure will only be available at GameStop. As expected, that’s not the only retailer-exclusive figure. 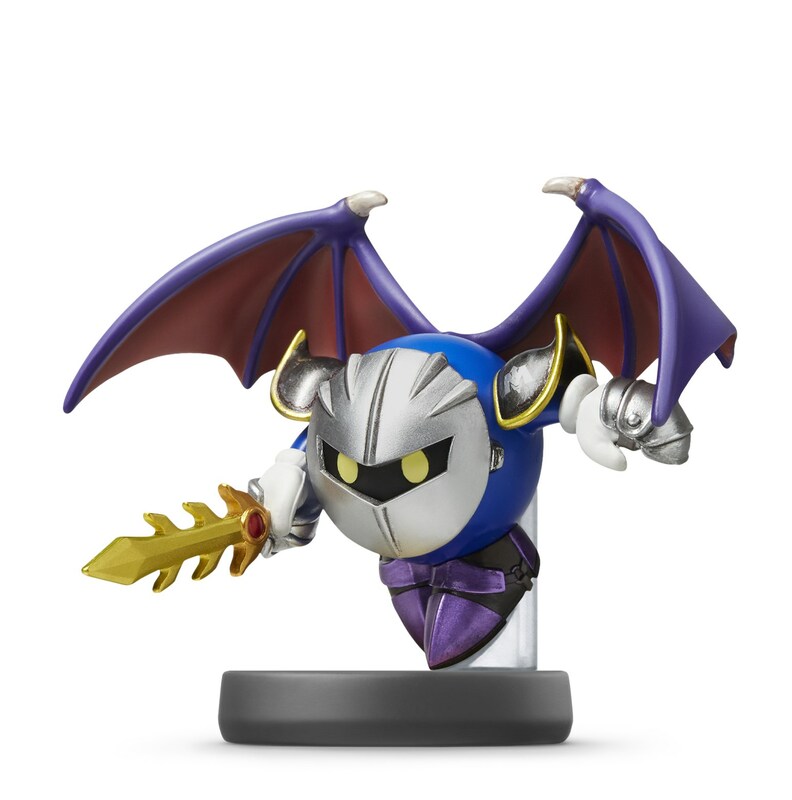 Best Buy confirms in a new PR announcement that the amiibo for Meta Knight will only be sold through its store. 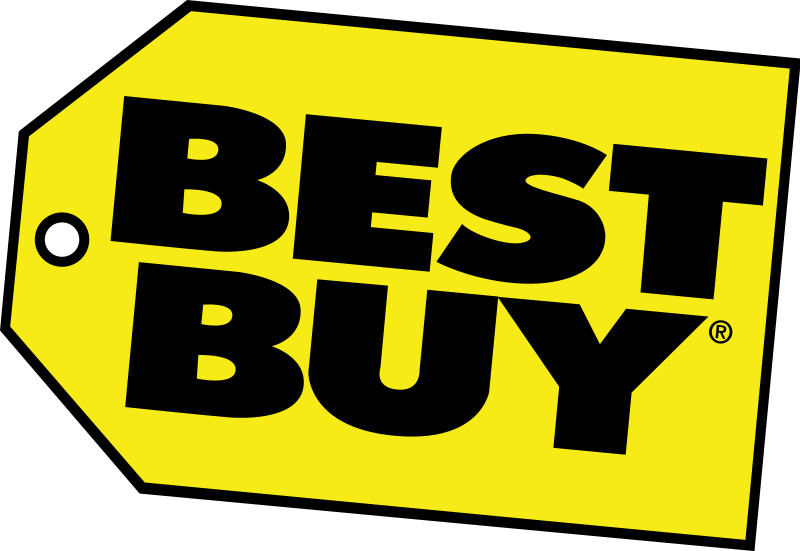 Best Buy has come forward with its lineup of deals for Black Friday 2014. You can get a look at the Nintendo-related offers below. All of these prices are officially from Best Buy. It seems this is a preview, so we may not know of all sales at the moment. With the holiday shopping season fast approaching, retailers are starting to launch some notable deals for video games. Best Buy and Target both have sales this week that are worth paying attention to. First, over on Best Buy, there’s a buy 1, get 1 50% off deal on 3DS games published by Nintendo. This currently includes Pokemon Omega Ruby/Alpha Sapphire, Super Smash Bros. for 3DS, Fantasy Life, and more. You can check out the full lineup of titles here. Target’s buy 2, get 1 free sale on all video games is now live as well. All systems are included – Wii U, Wii, 3DS, and DS. Check out this page for all eligible games.